Is it cold in here or is it just all of these awesome stuffed polar animals and plush polar animals?! Put on your parkas and mittens and scroll down to see our amazing selection of stuffed polar animals. You can also choose a sub category if you know the specific plush polar animal, or animals, you are trying to find. These icy stuffed animals love freezing climates but what they really love is warming hearts. Plus, they are excellent at cuddling since they need to create all of the warmth that they can to survive their harsh climates. 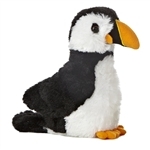 Our stuffed polar animals and plush polar animals include stuffed polar bears, plush penguins, stuffed snowy owls, plush harp seals, and many other arctic stuffed animals that can be found romping in the snow and ice. If it's cold that you are craving then these polar animals are here for the taking. 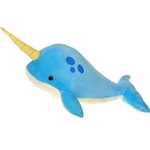 If you need any assistance in making your decision just give us a call at 866-534-6604 and we will help you choose the perfect plush polar animal to suit your needs.